Could This Be the Last Preakness at Pimlico? The Pimlico horse racing track located in Baltimore, Maryland has proudly hosted nearly every edition of the Preakness Stakes. Many horse bettors enjoy the Preakness as it is a way to continue the Derby fever and possibly predict a potential Triple Crown winner. The 2017 Preakness will be the 142nd edition of the storied race. Many local news reports from Maryland indicate that the 100+ year old racecourse at Pimlico is in a state of disrepair. In fact, some estimates put the rebuild at $300 to $500 million dollars. This begs the question: Could this be the last Preakness Stakes at Pimlico race course? 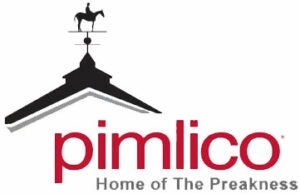 Many fans believe that there is hope to keep the Preakness at Pimlico while the track’s ownership group may look to build the course in another part of the state. While this days on the Pimlico horse racing track are numbered, it is important to know that Maryland will fight to keep the Preakness in the state for the foreseeable future. With Always Dreaming as the overwhelming favorite for the 2017 Preakness Stakes, it’s possible that both sports bettors and sports enthusiasts could have a potential Triple Crown winner in 2017 if Always Dreaming can win this leg of horse racing’s most important achievement.